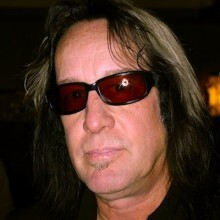 In the second episode of Sodajerker On Songwriting, Simon and Brian talk with writer/artist/producer Todd Rundgren (Nazz, Utopia, Meat Loaf, XTC) about his approach to the art form and the writing of hit songs like ‘Hello it’s Me’, ‘I Saw the Light’ and ‘It Wouldn’t Have Made any Difference’. © 2012 Sodajerker. Some rights reserved.